Japanese gamers can now play their original Wii games on the Wii U's gamepad using remote play, but still must use a Wiimote to control them. A brand new system update just hit for Wii U users in Japan, and among all the regular bugfixes and stability updates was a rather interesting new feature. 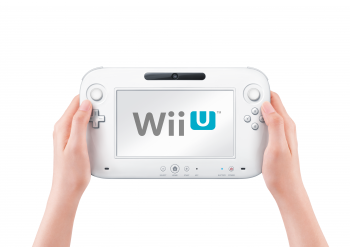 It appears that remote play, the act of playing a Wii U game exclusively on the Wii U gamepad's screen, has been brought over to the system's "Wii Mode", meaning Japanese gamers can now play original Wii games on their Wii U gamepad screen. The one significant caveat seems to be that you can't actually use the gamepad to control the Wii games. You still need to use a Wiimote. This means you'll effectively have to rest the gamepad on your lap, or put it on a stand, while you play the game using a Wiimote. NeoGaf users are reporting that this remote play functionality works with Virtual Console and WiiWare titles as well as retail Wii games. The Wii U's gamepad has a little camera built in that acts as a sensor bar, so you won't even need to be in the same room as your console. There's no word on whether or not this feature will make it stateside, but i don't see why it wouldn't. While it would be a hell of a lot of work for Nintendo to go back and code gamepad controls into all of those Wii games that were built around the Wiimote, here's hoping that at least the Virtual Console games will get gamepad support in the near future. What do you guys think? Will you use this, or do you find it ultimately pointless to have to use a controller to control your controller.